We have seen examples of communities where they found building a citywide fiber network at once to be too risky for their appetite. Rather than giving up and foregoing the essential benefits of high-quality Internet access in the modern era, they set about building an incremental or phased approach. See our interviews with Auburn, Indiana and Erwin, Tennessee for two solid examples. As time goes on, we believe these phased approaches will be more important because the market will continue to fracture - for instance, mobile wireless services will not meet the need of most residents but some fraction will use it to substitute for fixed access. The utility commission seeks an independent third-party contractor to conduct a study of the current status of local network facilities and services, alternative network designs for optimization of local fiber optic resources, business model alternatives and operational implications, and recommendations to the utility commission’s task force for further action on the envisioned project. It is possible that conversations with the utility board directed Uptown to be rigid and banal in their assessment. I don't know. What I do know is that communities should learn from this experience - including Decorah. This is the "Feasibility Study" that Uptown gave back to Decorah: a basic slide deck. I have long advocated that communities demand much more in a feasibility study - below are links to 5 interviews offering insight about what is important to ask and what products should result from a feasibility study. The bare minimum in my mind is a spreadsheet that allows a community to understand how the model works. What happens if a take rate is higher or lower than expected? Change a cell and find out. What happens if something goes over budget? These are the things communities should understand before they make any final decisions. Beyond that, maps and some engineering should also be included. Communities need guidance, not a yes or no. With the right questions and consultants that are both capable and willing to work with the community, the worst that will happen is a short-term plan for modest investment and the potential to re-evaluate as technology progresses and the economics change. That is far, far preferable to the headline in Decorah "Study shows Fast Fiber not feasible" when the city already has some fiber assets available and the public is overwhelmingly in favor of a municipal nework according to multiple surveys. The Uptown survey showed 68 percent of respondents said they would prefer to take service from the city compared to CenturyLink (3 percent), Mediacom (8 percent), "a new provider" (4 percent) and 18 percent that didn't know. Results like these indicate a deep dissatisfaction with the current state of local connectivity that requires further exploration. Are there any recommendations for how Decorah should move forward? Not in the feasibility study. This should be just as unacceptable as it is unhelpful. 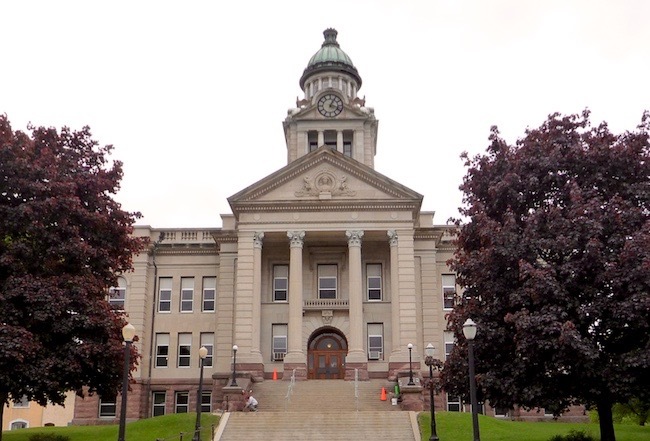 If Decorah doesn't want to move forward, they should be free to make that decision. Frankly, I would be looking more closely at what several of the recent and soon-to-be municipal fiber networks are doing elsewhere in Iowa and who is advising them. I doubt Decorah is really that different and others working in the state for years have confirmed my assumption. But the larger lesson every other community should take away from this is that hiring a consultant should be more about hand-holding and guidance than "please evaluate this single model without any deviation." The consultant should help you understand how better Internet connectivity can improve your community and what feasible options you have to move in that direction. Here are a collection of interviews we have done that offer insights in what a community should consider in the early phases of considering a network. Each of these has a transcript linked from the text of the story. CCG Consulting wrote a related piece that I think also has some good advice, particularly for communities that are very focused on a single model. Image of Deborah’s Winneshiek Courthouse by Bobak Ha'Eri (Own work) [CC BY 3.0], via Wikimedia Commons.